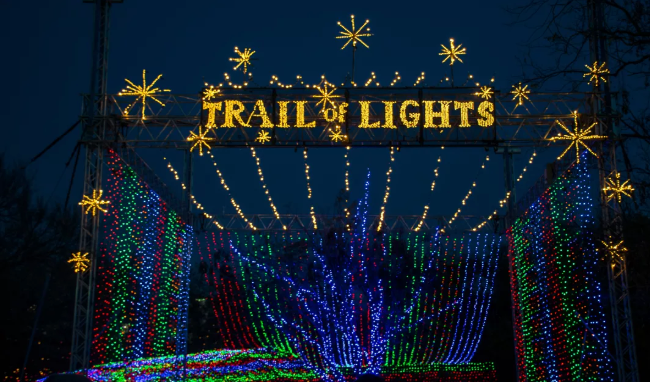 The 54th annual Austin Trail of Lights, powered by H-E-B, takes over Zilker Park with 2 million lights, 65+ displays, 30 food trucks, three stages of live music and numerous interactive experiences throughout the park. Want a first look? New attractions include a 13-foot illuminated carriage, 12 seven-foot lighted guitars commemorating Austin’s musical roots and a 25-foot spiral holiday tree.